I love nothing more than getting lost in my own imaginary world, surrounded by people who I do not know but care about tremendously; and then left to observe this universe, and tell you what is happening. 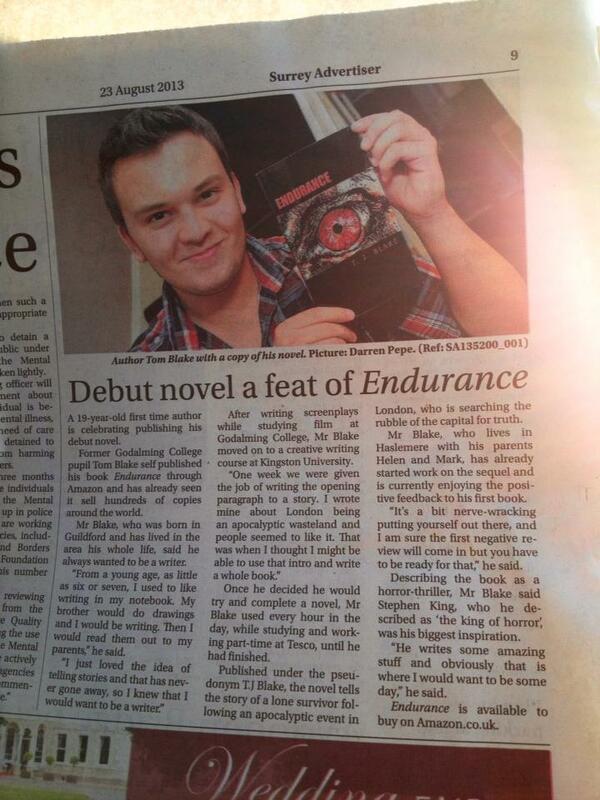 March 2016 marked three years into my indie author career, and the 23rd of August marked three years since I was featured in The Surrey Advertiser, with my debut novel, Endurance. My time of self-publishing horror and thriller novels has been a real blast; I simply cannot complain about my experience with self-publishing what so ever. I’ve thoroughly enjoyed writing numerous stories for people to read, I’ve loved hearing what people think of my stories, I’ve been both stunned and thrilled about seeing sales across the world, and I’m excited for what’s to come. I thrive on entertaining people and I love nothing more than getting lost in my own imaginary world, surrounded by people who I do not know but care about tremendously; and then left to observe this universe, and tell you what is happening. My love for writing will never change, so there is a lot more to come from me – I hope you don’t mind? Late July, early August of 2016, I decided to self-publish my fourth novel, Deception: A Love of Lies. I guarantee that once you read my new thriller, you will not be able to look at passing dog walkers the same! Let me introduce you to author T. J. Blake! Awesome, thank you Karen, I really appreciate it. Also, as a side note, could you give me an email to send you the free version of Deception?